Home Business and sales management Are you reaching the 80/20 concept limits? One trait I’ve noticed in business over the past three decades is that the 80/20 rule applies both ways. For example, you will find that 20 per cent of your clients are absolute headaches and generate tiny revenue for the work and frustration you spend. Conversely, at the other end, the 20 per cent of your “top clients” almost seem to require no effort to maintain — they just keep buying more. This leads to another observation: If you could just drop 20 per cent of your worst clients and spend 20 per cent more energy on your best ones, would you achieve disproportionate return for your efforts. Yes . . . well, maybe. Seemingly simple explanations belie the fact that business is never so easy, especially when we factor incrementally, inertia, hidden relationships, and unintended consequences to the picture. For example, your 20 per cent best clients may really not want to be bothered with excessive hand-holding. Or, the relationship is so natural that it doesn’t seem to require any effort, yet you really have solid, ongoing and truly deep relationships. On the other side, we lost a major client a few years ago who decided (I believe) to redirect marketing budgets. We didn’t fawn over the client — but certainly kept in touch and proactively sought opportunities for helpful communications. But we couldn’t change the decisions. Fortunately, we’ve always observed an important rule: Don’t let any individual or group of clients have so much of our business that their loss would put us into jeopardy. If any client has more than 20 per cent of your business, be wary. If a small group of interrelated clients generates the bulk of your revenue, be worried. 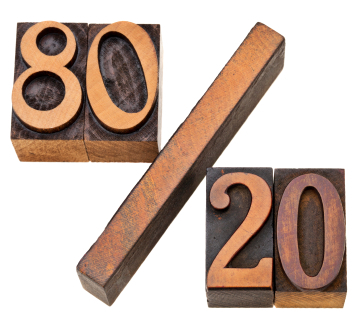 Certainly, you should take the 80/20 rule into consideration in weighing your initiatives, client relationships and marketing focuses. Just remember: Business success is multidimensional and there may be hidden strengths in the weaker portions of your client portfolio. I welcome your 80/20 stories. 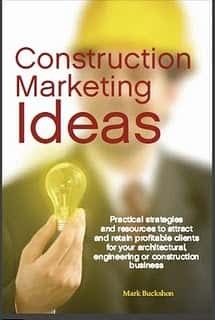 Please comment or email to buckshon@constructionmarketingideas.com. 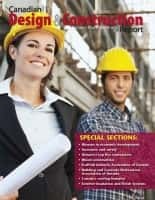 Next articleThe challenge of testing for AEC marketers: Can we discover a large enough sample size, quickly enough?